Charter your private flight to New Jersey, a northeastern state with nearly 130 miles of Atlantic coastline, and home to Newark, a major city in the heart of the NYC metropolitan area. Whether traveling for a luxury vacation, business, or special event, our jet charter team can arrange a luxury jet to/from any travel destination in New Jersey and neighboring states. Fly private with our New Jersey private jet charter service and arrive in style for your next trip! Fly privately into one of the following destinations within New Jersey. This list of destinations is based on Air Charter Advisors clientele requests, local attractions, and online reviews. Many of our clientele choose Teterboro or Newark as their top travel destinations when planning a trip to New Jersey. 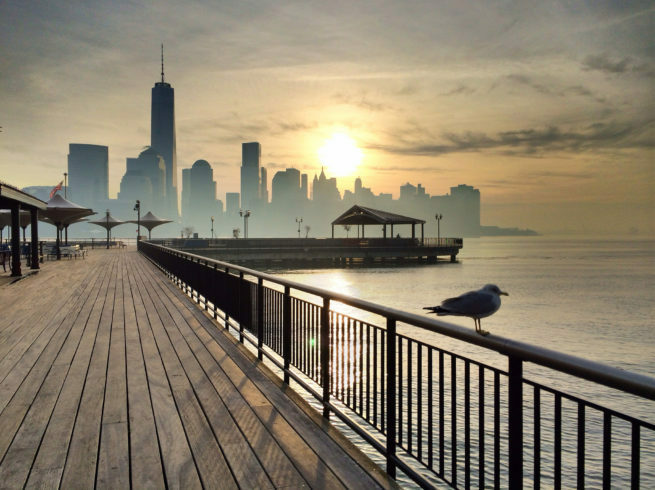 Jersey City, across the Hudson River from Lower Manhattan, is the site of Liberty State Park, where ferries embark for nearby Ellis Island, with its historic Immigration Museum, and the iconic Statue of Liberty. The Jersey Shore includes notable resort towns like historic Asbury Park and Cape May, with its preserved Victorian buildings. Request a Quote or give us a call at 1-888-987-5387 to speak with one of our New Jersey private jet charter brokers for your next luxury vacation, business trip, or special event.